Do you have an important message to share with others interested in alternative health? If so, I help connect you with people who are already looking for you. What can I tell you about copywriter Susan Fox? About Copywriter Susan Fox – Ta Da! I love to write. 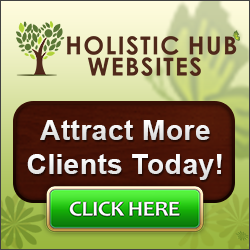 I provide web content copywriting and ghostwriting services for alternative health and integrative care providers. I have many years experience writing for the B2B and B2C markets. Here’s the bottom line about you and me working together. Your alternative health/integrative care business helps people naturally cope with health challenges. People feel afraid to face unwanted health care news. How do I know this? Personal experience and it’s just human nature. Health challenges often require a great deal of tact, sensitivity, diplomacy and education. When my son was dying, it was necessary to put his health needs first before anything else. He needed me and my husband at all times of the day and night during his last weeks of life. Being a caregiver of a terminally ill person exhausts you. I know about this because I lived it. Also, I’ve experienced my own health challenges. A car accident temporarily prohibited me from walking without a great deal of pain. Delivering two children, freeing myself of chronic pain, migraine headaches, TBI, dealing with IBS and AFIB all lead me to find natural ways of confronting and managing these issues. Your patients, clients and their caregivers need to hear compassion in your marketing copy. If you don’t know how to convey that, they click to another website. I write copy with which your patients, clients and caregivers can relate; I know what to say and how to say it because of my experience. My husband and I are currently a caregiver for my aging mother-in-law who has dementia. I know what your clients, patients and caregivers want and need to hear – someone who is there for them. That’s what I write in copy for your business. That you are a caring and open-minded alternative and integrative health provider. Alternative health/integrative care providers hire me to write for them because that frees them up to keep providing care for their clients and patients. You are probably very interested in spending the highest percentage of your time providing your expertise for your clients and patients. I understand this better than most copywriters due to my experiences in alternative health as a professional hypnotist, Jin Shin Jyutsu practitioner (www.jsjinc.net) and a Reiki Master Teacher. I am a palliative care, alternative health and integrative health customer and care provider. I’ve been a certified hypnotist since 1988 working with people who have either suffered chronic pain, are in it now or are getting palliative care now. My first born son died at age twelve at home of a rare birth disorder. My husband and I provided the care he needed every step of the way. I have worked with pet owners who needed death doula guidance and consultation, including farm animals. I have trained nurses, hypnotists, dowsers, clients, memorial society members and others all about the crossing over event. I have had three near death experiences. In addition to being a USAF veteran, I am a veteran when it comes to knowing what your alternative health care clients and patients want. Who better to write web content for you than someone who knows both sides of the profession? I am uniquely qualified in writing copy for providers and end users of alternative health/integrative care services. I grew up in Arizona. I was a Girl Scout for 14 years. Scouting taught me how to successfully survive an abusive home environment. It is also how I’ve learned to be disciplined to stay focused on what is possible in life. I’ve been told more than once I’m as stubborn and determined to achieve my life goals as my father was. Hey, he survived being in the Army in World War II. He’s my hero. He passed on to me his determination to thrive in life. That focus helped me successfully get through a hitch in the USAF. I am grateful for the experience of being a USAF pharmacy technician. I am proud to have honorably served my country. My clients tell me I’m pretty good at telling their stories. So, what’s your story? Whatever it is, I can help you tell it.